By Victor M. Plavner, M.D. Have you been told you need your cholesterol checked? Or do you know you already have high cholesterol? What does that really mean and what numbers are important to know when we’re talking about cholesterol? Cholesterol is a naturally-occurring, waxy substance that’s made naturally in the liver and can be found throughout the body. Cholesterol is also found in some foods we eat. While we need cholesterol for the cells and organs of our body to work effectively, too much cholesterol in our system increases the risk of heart disease and stroke. HDL (High Density Lipoprotein) is known as “good” cholesterol because it helps sweep the bad cholesterol out of your blood. LDL (Low Density Lipoprotein) is considered “bad” because it causes the build-up of cholesterol on the walls of arteries, increasing the chances of cardiovascular disease. Your cholesterol can be checked through a simple blood test. In general, the number you want is for your total (HDL & LDL) cholesterol to stay below is 200. Broken down further, your optimal LDL level should be below 130 for the average patient, below 100 for the diabetic patient and around 70 for the patient with coronary heart disease. HDL levels above 60 are considered helpful to reducing heart disease risk. So, a lower total and LDL cholesterol is good, and a higher HDL number is better. 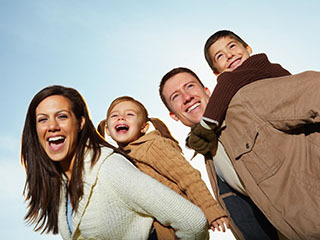 High cholesterol is often hereditary and increases with age. However, there are several risk factors you can control: diet, excess weight, sedentary lifestyle, smoking, and diabetes. Some researchers believe that dietary changes alone can lower LDL (bad) cholesterol by as much as 20-30%. So, don’t panic if you have high cholesterol. Work with your doctor to come up with a dietary and exercise plan and, if needed, there are several medications that can help. And start early to keep your children active and eating healthy so they’ll have to worry less about high cholesterol later. 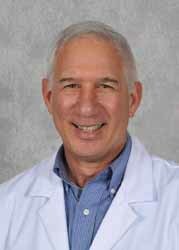 Dr. Plavner is an MPCP partner and is certified by the American Board of Family Medicine. He received his medical degree from the University of Louvain in Brussels, Belgium, and the George Washington University Medical Center. He completed his residency program in Family Practice at Franklin Square Hospital Center.